My rhubarb is up about 10" and then we had several freezes. 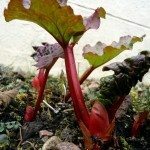 Is the rhubarb still good to eat, or is there a possibility of it becoming unhealthy due to freeze? 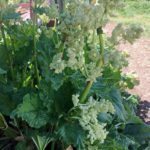 Rhubarb is a fairly hardy and frost tolerant plant. If it is hit by a hard frost or freeze in late spring, it still can be eaten as long as the stalks are still firm and upright.